This beauty look is, actually, a tad “old”, from Diane von Furstenberg SS11 show, but does it matter if it looks that good. Fresh, sunny and also very polished with, well, very kissable lips. 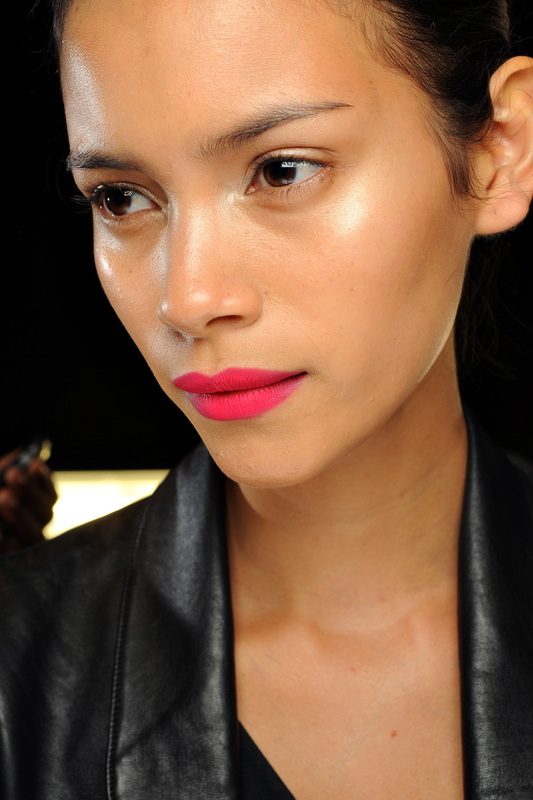 This year’s beauty trends are more about matte texture skin but I like this sun-kissed glow look in summer. No matter for what skin texture you opt for, this lips color would work perfectly for anything – kissing included.